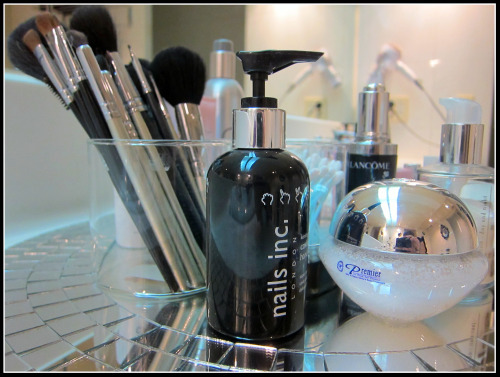 make up brushes | The difference is in the detail. Recently I saw a great post in a series on organizing tips. It is from a super dooper blog called Deliciously Organized. Really worth checking out ! 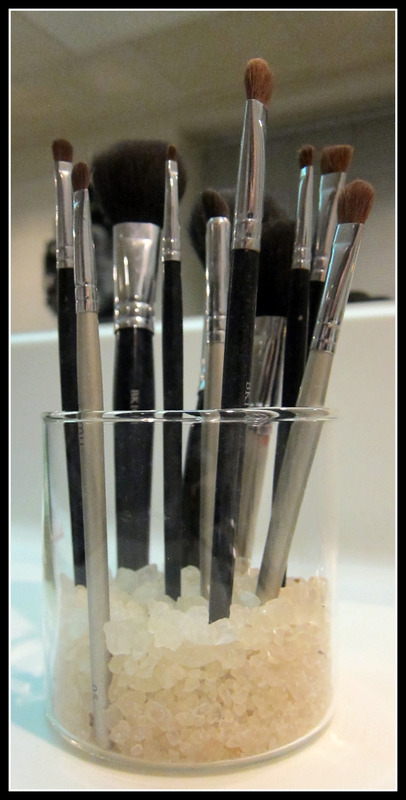 This tip was for Storing Make Up Brushes by adding sand to the container to make them stand up ! 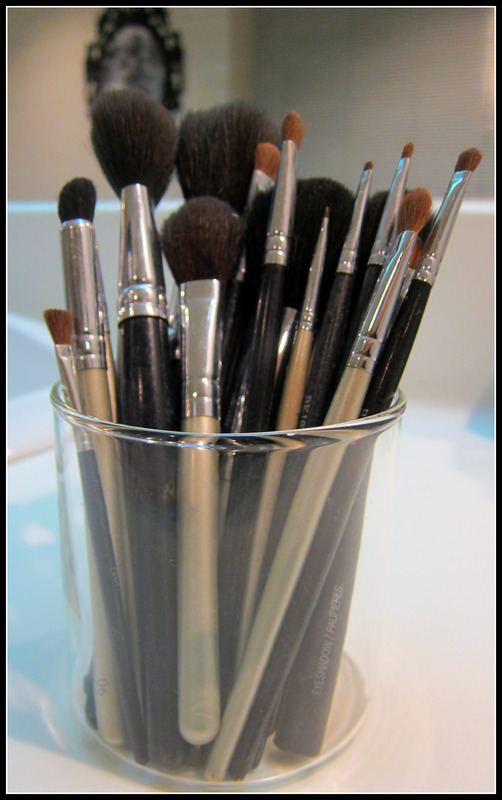 via Deliciously Organized: Storing Various Sizes of Makeup Brushes. It immediately caught my eye as it reminded me a lot of my own brush collection on my countertop. And I could relate to the problem they were describing – having them all on top of each other ! 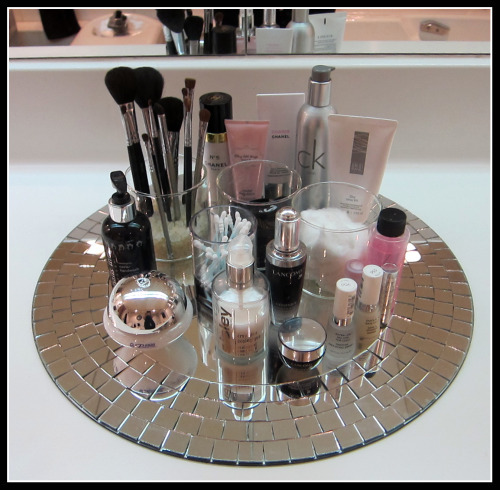 I loved the idea and tonight was the night I decided to take a little inspiration from them….. So, I pulled the brushes aside…..Had a good look at them – mmmm….OVERCROWDED for sure ! But before I pulled over the sand… I thought of adding a little twist to it! Instead of SAND, I added AROMATIC BATH ROCKS !! Not only are my brushes now all standing up, ready for action … it also smells delicious right under my nose while I do my make – up! And the whole tray is now much happier….. Thank you Deliciously Organized for the great tip !!! 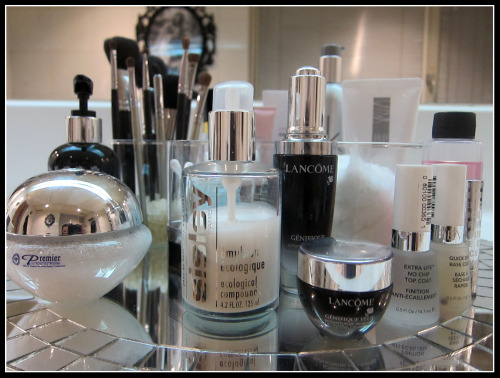 Do you have great tips for organizing make-up?